North of the Chaos Shrine. 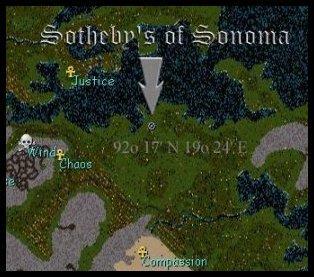 History: Myrddin and Drizzt founded Sotheby’s of Sonoma in 2003. 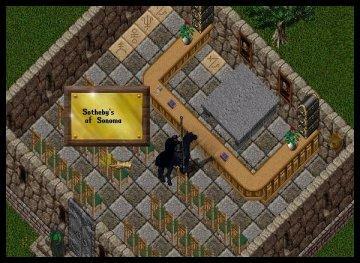 Sotheby’s is an ingame auction house, our goal is to provide all members of the Sonoma community with a safe, enjoyable way to auction their rare and collectible items to the highest bidder. Plenty of experience, design time and advertising go into making each event a resounding success. Community members from all walks of life are encouraged to attend the event and have fun bidding on the goodies; we ask only that everyone respects the rights of others to have a good time at Sotheby’s.